Over the last 30 years, we’ve developed brand names that innovate and inspire for products ranging from cars to corporations. For the next two months, we’ll be releasing weekly posts dealing with branding myths we’ve frequently heard, in an effort to debunk and demystify much of the mystery that surrounds both the process and the strategies of branding. Myth # 3: If a company has a strong corporate name, it doesn’t need any other brands. Two weeks ago, Google announced its new umbrella company. This unexpected move – placing Google inside the cocoon of the freshly minted Alphabet – says a lot about the power of strategically creating distinct brands. Google was originally founded for a fairly specific purpose, but within the past few years, the fiercely innovative tech behemoth has expanded its interests with a range of endeavors. 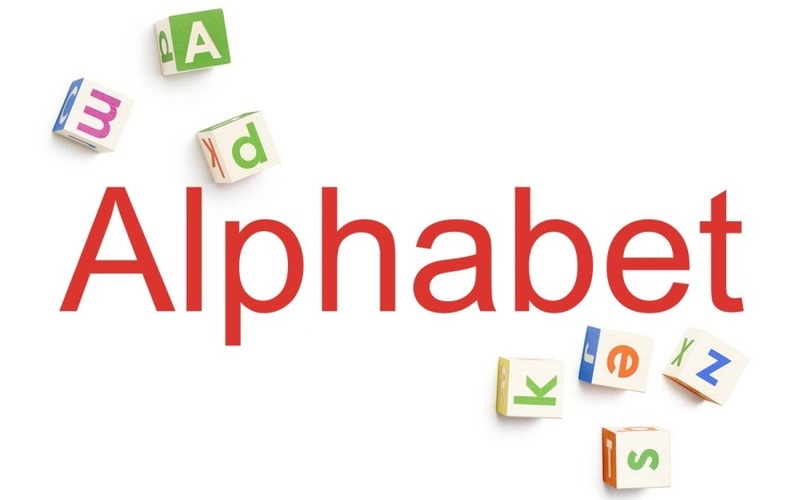 With the creation of this holding company, Google can continue to pursue its core competencies, while new Alphabet sub-brands can explore the other territories into which Google had begun to tiptoe. This allows individual brands to develop focus and create memorable identities, and having the Alphabet backing gives these nascent projects the Google credibility endorsement without diluting the Google brand. There’s also the practical consideration of creating separate brands, from an investor standpoint; it allows stakeholders to see where money is going and to see who is under-performing and who is exceeding expectations. This synergy of powerful master brands working in conjunction with powerful sub-brands is not a novel concept. Even well-established corporations have allowed themselves to be defined by their products, using their name to bolster brands and then allowing those brands, in return, to support the corporate promise. The prolific 3M is a great example of a company that leverages its corporate identity to enforce new brands, while using the strength of long-established brands, such as Scotchgard and Scotch Tape, to reinforce the 3M corporate promise. “I know that other companies have tried to consolidate and have one corporate brand,” says Dean Adams, Director of Corporate Branding at 3M, “but we have a different view. The corporate brand takes on the role of authority and credibility, but consumers want to look underneath the brand,” explains Adams. For example, Scotchgard makes a special promise about making things look new longer, and the brand’s strength works as tangible evidence, proving 3M brand’s corporate promise. Conversely, one of the company’s newer brands, Command (a removable adhesive strip used to attach items to walls) doesn’t have the same credibility as some of their more established brands. “We really leverage the 3M brand, using its strength to build the brand Command,” says Adams. Interestingly, one of 3M’s most recognized and successful brands, Post-it notes, began life much like Command, with a number of names plastered on its packaging. When the product was launched 25 years ago, it carried trademarks for Scotch, 3M, Post-it, Plaid and a few others. But according to Adams, once 3M saw what it had, the other brands were dropped pretty quickly, and the ubiquitous Post-it was born. It’s natural to strive for one, strong corporate identity. Brand stacking can be tiring for a consumer and branding is often a calculated risk. Branding, however, can empower the corporate identity. Allowing products to stand on their own with unique brand identities can be more digestible for consumers, and their success will inevitably climb back up to the company level, reinforcing a corporate promise and potentially carrying the company to new heights. Fact: Companies miss many opportunities to create strong corporate assets when they rely on a narrow corporate brand policy. Pandas, penguins and hummingbirds typically evoke warm, feel – good thoughts. That is unless your company misses out on valuable web traffic after changes to search engine algorithms impact where your company ranks on search engine results pages – or if it shows up at all. When released by search engines, these types of algorithmic changes while called cute animals like pandas, penguins and hummingbirds, can cause your brand to get lost amongst vague descriptions unless consumers are searching for it by name. According to Glenn Gabe’s recent post on Search Engine Watch, “…I unfortunately saw many companies get pummelled…losing more than 60% of Google organic traffic overnight.” One of the best defenses against pesky “pandas” – invest in creating a strategic, marketing tool – a distinctive and memorable brand – that consumers easily recall when researching or buying your product. • The most successful marketers use both scientific research and creativity to create distinctive and memorable brand names. It is more than simple word play to create a brand that sticks in the mind. Memorable brands endure and resonate by combining a minimum of three facets – semantics or meaning, sound and letter structure. • Brands need to stand out and work across the globe in multiple languages and various multi-media formats. This is becoming harder to do given trademark registrations continue to increase. For example, global class 9 trademark applications more than doubled from approximately 259,000 in 1984 to exceeding 530,000 by 2013. Lexicon predicts globally by 2017 there will be 55 million trademark applications across the existing classes. • A distinctive brand name is perennial, not perishable or easily forgotten. Thus, algorithms can change and the organic traffic generated by your brand survives because it was built to last. How can your name successfully navigate the 2 million web searches conducted every minute? The right brand name is a fundamental element of strategic marketing that creates value by being distinctive and memorable as well as elevating the conversation. It evokes feelings typically followed by action. The best guard against changes you can’t control is to invest in your brand so that consumers will ask for it by name – whether they’re shopping in a traditional bricks-and-mortar store or typing it into the search bar. Now, 30 years after the events of Nineteen Eighty-Four, could it be that Big Brother is finally manifesting? Not as a political entity designed to control the populace, but as a commercial confederation that owns and controls the majority of brands – and the influence that goes with them. Such companies exist in every industry, from electronics to financial institutions, high tech to home improvement, and any other business you can imagine. But what factors – besides their seeming unquenchable desire to acquire other companies – make us think that they are exhibiting Big Brother-ish behavior? The ten companies mentioned are Mondelez, Kraft, Coca-Cola, Nestlé, Pepsico, P&G, Johnson & Johnson, Mars, Danone, General Mills, Kellogg’s, and Unilever. And each of those companies has controlling interest in anywhere between two dozen to almost a hundred other companies in the case of Nestlé. Do you choose Nestlés’ Dreyer’s ice cream or Breyer’s from Unilever? General Mills’ Chex cereal or Crispix from Kellogg’s? Many such products are at parity when it comes to such things as taste and quality, meaning it often boils down to how the brands make consumers feel at decision-making time. Frankly, the more interesting story is not about when these giants go head-to-head in the grocery store. Instead, imagine being a smaller cereal manufacturer getting caught up in the marketing and shelf placement elements that come into play with products like these. It’s a daunting task: Where do the marketing dollars come from to start to build awareness when the playing field is already dominated by gargantuan powerhouse brands? Lest you think we’re dissing the Big Brother Brands, far from it. We have worked to create brand names with a large number of holding companies, as well as many of the companies within their portfolios. Their naming choices can tend to seem more on the conservative side versus those made by start-ups and smaller companies but when you’re in business around the world, it often pays to play it safe. • Be different. The Big Brother companies have vast resources but can be slow to innovate – why create something new when something old is still selling like hotcakes? If whatever you’re making or doing is different from what’s gone before – and you can make it known – you’re bound to be noticed. • Say something different. Starting with a brand name that stakes out some new territory in the landscape, and on through your brand promise and the story of what your product is about, you’ve got to be the brand that gets attention as opposed to the legions that get ignored. • Reposition the competition. When competing against brands that are well-established in the marketplace, find a hook that’s different yet welcome. Force those other guys to figure out that you’ve changed the game and now they’re the ones playing catch up. • Take the high road. Sure, they’re the competition and you’re the hero, but keep the conversation about how good your product is and stay away from comparing yourself to your predecessors. No sense tripping over someone else’s goodwill. Ironically, the more successful a smaller company is with their brand, the more attention they’re likely to get from a Big Brother brand. Those bigger companies typically used to work to create their own similar product, often with disappointing results. More often than not nowadays, they’ll use their resources more wisely — and just buy what they like. Innovative beverages like Odwalla, Vitamin Water, and Fuze were all gobbled up by Coca-Cola. Nestlé has bought up chip, candy and even restaurant brands like they’re going out of style. Sometimes, however, success is its own reward. For every Odwalla that gets snapped up, an Jones Soda remains cheerfully independent. Three Twins ice cream keeps it simple rather than follow the example of Dreyer’s, which became part of the Nestlé family in 2002. A compelling brand name is a way to start a conversation with consumers that is effective, regardless of whether the product is owned by a multinational corporation, a hot company on the rise, or a struggling startup. That winning name is also the intellectual property that could be the most coveted weapon in your marketing arsenal.